Crisan Channel – A deep channel with a large width (100 m) and with a moderate stream; a place for catfish and carp. There are sections where you can catch pike perch (at the intersection with Sulina Arm), asp and pike. Vatafu Channel – A long channel, almost parallel to Sulina with a strong stream. Because Vatafu intersects with multiple other channels, it crosses an area rich in lakes and backwaters. Vatafu lake and backwaters Doha are directly linked by Vatafu channel. Here you can have a successful catch of pike pearch, perch, catfish, carp and pike. Olguta Channel – The favourite place of those who want to catch pike or bass. The thick vegetation allows access only by boat. Fortuna Lake – One of the biggest lakes in the delta, you can fish here from the shore or from your boat. With a rod, you can catch carp and catfish. Every year, usually during the spring, the authorities issue an injunction order in the Danube Delta. In order to avoid fierce fines, you can check the Official Monitor before embarking on your trip. Your fishing equipment must include rods and reels, enough threads and bait. 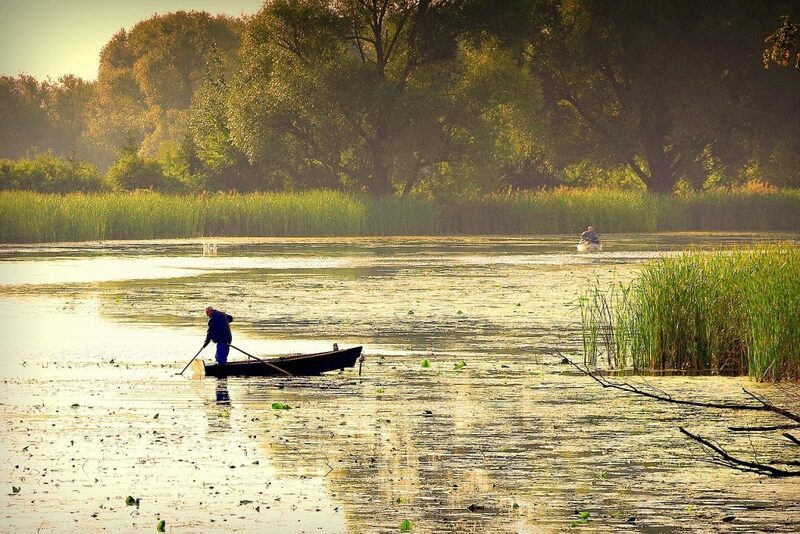 Even though the Danube Delta is well known for its fishing, you will not find shops equipped with fishing tools. Therefore, make sure you have everything you need before living. In order to be sure that you are well prepared for an adventure such as this one, here is an article on How to Prepare for a Danube Delta Trip. Also, for more information about the species of fish you can find in the Danube Delta, click here.